On May 9, Moncus Park will participate in South Louisiana Giving Day, a project of Community Foundation of Acadiana. 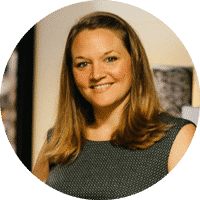 South Louisiana Giving Day is a 24-hour, online fundraising event to inspire the community to come together to contribute as many charitable dollars as possible to support the work of local nonprofit organizations, churches and schools. Beginning at midnight on Thursday, May 9, you can visit www.SouthLouisianaGivingDay.org/MoncusPark on your computer or mobile device to make a donation – or you can schedule your donation now. 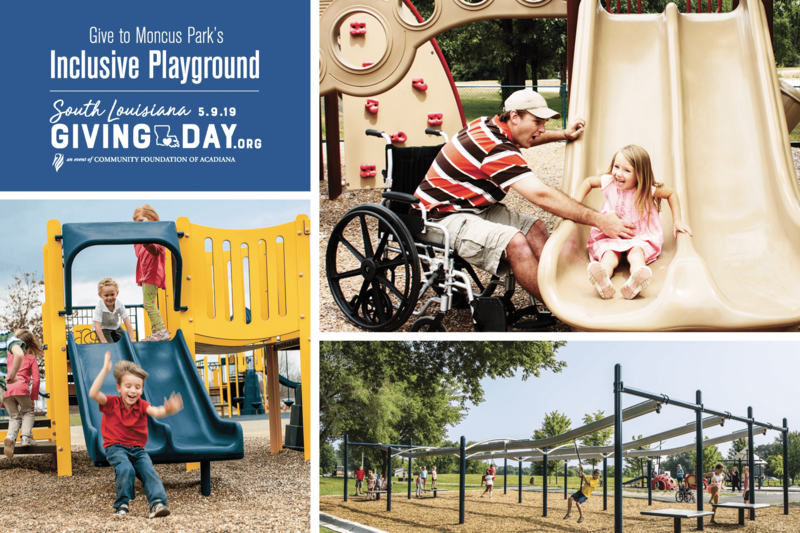 This year, your donation to Moncus Park on SOLA Giving Day benefits our inclusive playground and will be doubled through a generous $35,000 match by the George and Merilyn Crain Fund! At Moncus Park, we know that play is critical for children of all ages, and enjoying the outdoors in dynamic play spaces creates unique opportunities for growth. Play is proven to improve self-esteem, learning, physical health, confidence, and social skills. An inclusive playground is one that is built with all children in mind – kids of all ages and abilities and their families. The spirit of inclusion guides so much of what we do at Moncus Park, where we strive to create a place where every family in Acadiana can participate in interactive and engaging outdoor play. It’s OUR park. Let’s build it together.